WASHINGTON — After weeks of gridlock, Congress smoothly passed legislation that will keep the government’s doors open through mid-December. The final bill, however, did not address fierce concerns that U.S. Sen. Ted Cruz raised over U.S. control of the Internet — a position he took as he tries to find his footing as a rank-and-file senator returning from presidential politics. At issue for Cruz was the future of how the Internet will be organized, causing anxiety on Capitol Hill that the obscure issue could derail budget negotiations and cause a government shutdown five weeks before Election Day. That did not come to pass. With the fiscal year deadline of Sept. 30 looming, Congress passed a short-term funding bill by large majorities in both the House and Senate by late Wednesday night. President Obama is expected to sign the legislation. Cruz described the bill as "kicking the can down the road" and blasted the legislation, which he voted against. "Glaringly absent from this legislation is any action by Congress to stop President Obama’s Internet giveaway. We should be united in protecting free speech online," he said in a statement. "As a result of congressional inaction, on October 1 President Obama intends to give increased control of the Internet to authoritarian regimes like China, Russia, and Iran. Like Jimmy Carter gave away the Panama Canal, Obama is giving away the Internet." When Cruz returned to the Senate after nearly two years in presidential politics, he chose the future of the Internet as a banner cause. Both on the Senate floor and in hearings, he charged Obama administration officials with implementing a plan that would surrender control of the Internet to dictatorships in Russia and China. Cruz argued that the Obama administration’s plan to relinquish on Sept. 30 oversight of a California nonprofit called Internet Corporation for Assigned Names and Numbers (ICANN) would radically change the capacity of freedom of speech on the web. His aim was to insert legislation stopping the transition into the funding resolution, creating anxiety on Capitol Hill that negotiations could be derailed, possibly leading to a government shutdown five weeks out from Election Day. Though the Internet issue wasn't part of the congressional legislation, it isn't dead. Texas Attorney General Ken Paxton on Thursday morning announced a lawsuit targeting the handover of Internet oversight. 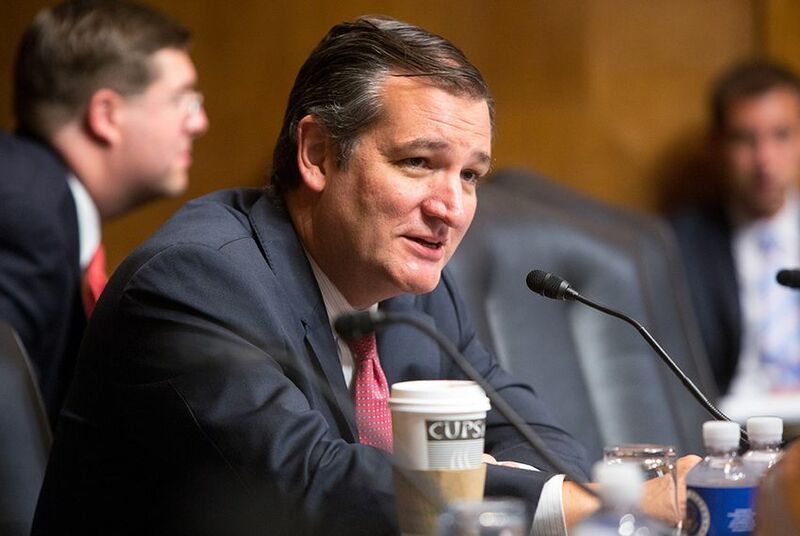 While Cruz ultimately voted against the funding bill, U.S Sen. John Cornyn voted for it. In all, 72 senators backed the legislation, while 26 backed the bill. The vote did not fall along partisan lines, as Democrats and Republicans fell on both sides of the vote. On the House side, 342 members voted for the bill, while 85 voted against it. Eleven Texans — all Republicans - were against the funding resolution: U.S. Reps. Brian Babin, of Woodville, Michael Burgess of Lewsiville, Blake Farenthold of Corpus Christi, Bill Flores of Bryan, Louie Gohmert of Tyler, Jeb Hensarling of Dallas, Sam Johnson of Richardson, Kenny Marchant of Coppell, Randy Neugebauer of Lubbock, John Ratcliffe of Heath and Roger Williams of Austin. The larger — now resolved — sticking point of negotiations was over Democratic insistence on securing guarantees that Congress will address the Flint, Michigan, lead-contamination water crisis. The resolution also addressed funding the Zika virus — a legislative issue that has bedeviled Congress for months. U.S. Rep. Marc Veasey, a Fort Worth Democrat, praised the legislation. “Although the $1.1 billion nationally is a good first step for Zika funding, it is below the President’s budget request to ensure that Texans and millions of other Americans are not in danger of contracting the virus with no treatment options on the horizon,” he said in a late-night statement. U.S. Rep. Pete Sessions, R-Dallas, accused Democrats of “playing games” in his statement but also praised the Zika provision. Texans in Congress support the first veto override in the Obama era. Congress aims to avoid a shutdown and override President Obama before members return to the campaign trail. U.S. Rep. Kevin Brady, The Woodlands Republican who chairs the House Ways and Means Committee, says there is still a path to passage for the largest trade deal in history.